Power Lifter Trading Company was established in Al Khobar 2009 by entreprenuers with two decades of engineering experience. 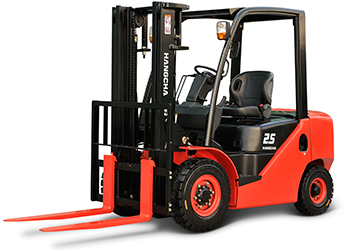 "We offer the most unique products in Saudi Arabia for trading, rental, maintenance and material handling equipment including forklift and manlift. Our experienced service engineers can carry out a wide variety of repairs on-site; from a connector, to a complete strip-out and re-fit. Backed up by a well- stocked parts department, we can provide for all your needs ‘off the shelf’," says Mohammed A Hilal, operations manager, Power Lifter. Power Lifter has a very sophisticated workshop with all kind of facilities to take any challenge for repairs for any brand and kinds of forklift and manlift such as Hyster, CAT, Toyota, Clark, TCM, JLG, Grove and Genie, he says. The company is highly specialised in providing to the oil and gas sector lifting equipment solution services, spare parts attachment rental and sales to all over the region. Power Lifter has been doing well despite the current recession in the kingdom. Compared to last year sales volume has increased, he says. The company sees good prospects over the coming years. "However, every successful business regularly reviews its plan to ensure it continues to meet it needs. It is sensible to review current performance on a regular basis and evaluate the most likely strategies for growth," he says.